When was the last time you received a marketing email that made you want to jump out of your chair like a 3 year old on sugar high? That made you want to drop everything (kids? what kids? I have kids?) shut out everyone and just curl up with your phone as you devour every single word and laugh out loud like a maniac who has had too many colas? Do you visualize a bored grouch, scrolling through his inbox, scowling at the screen and wondering why everyone is trying to rip him off and make him buy something he doesn’t need? Which one of these reaction do you WANT? I am assuming it’s the first one. 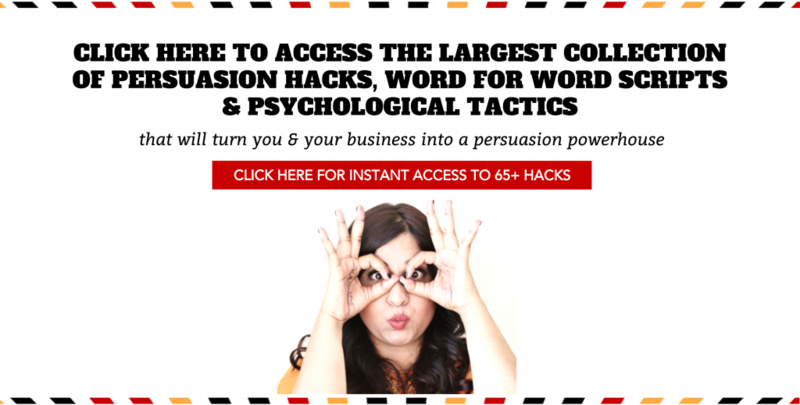 It’s the first reaction that creates loyal fans, grows lists, makes sales, gets I love yous in your inbox every day and makes you infinitely more persuasive than everyone in your industry. So how do you get that reaction? No, it’s not as dirty as it sounds. 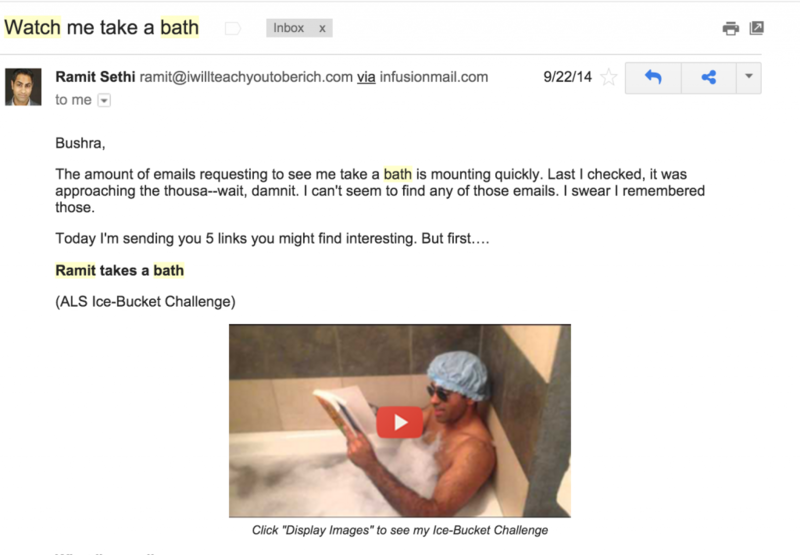 Tease: He uses a new spin on The Ice Bucket challenge but the subject line hints at something better and different so there is an insistent need to OPEN! Squeeze: The click to his website is almost automatic. He doesn’t even need to ask you to click. The play screen image squeezes a click right out of the reader. Please: I satisfy their curiosity by showing them the picture. But on the heels of this “please” comes another tease that squeezes a “click” out of them. Squeeze: The claim that I have “accidentally” created something exciting creates an insistent urge for them to click through and check it out. Bonus point: They come to the landing page, primed with the expectation that what they are about to see is unbelievably exciting. 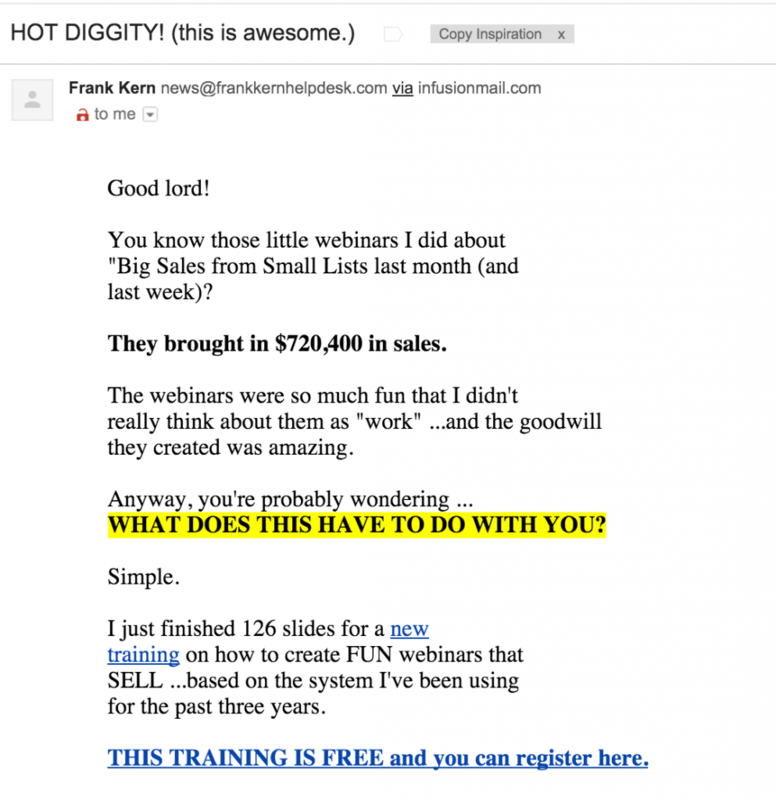 Example Three: Fran Kern wants people to sign up to his free training. Tease: The subjectline is simple but it makes you want to at least open and see what is so exciting that it’s making a grown man act like a zitty teenager. Please: He closes the information gap (the sweet sweet feeling of satisfied curiosity ensues) and then he opens another tease by swerving into the main objective of the email. 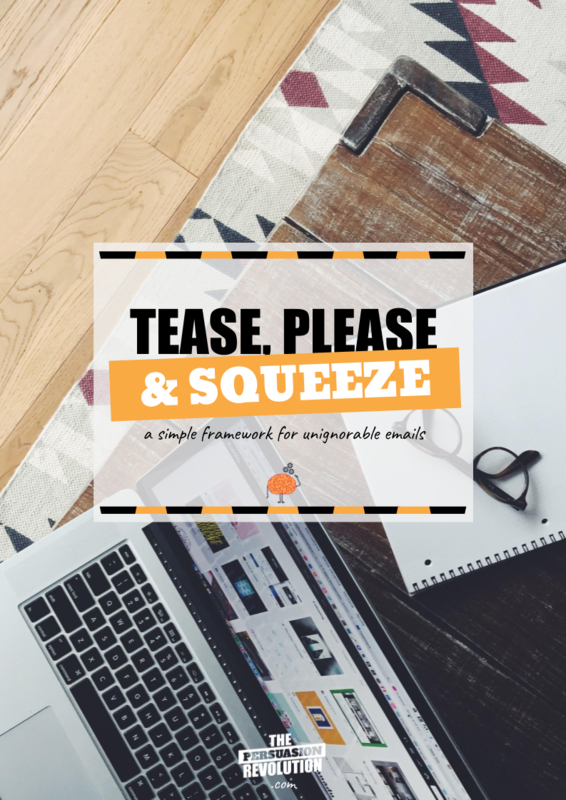 Squeeze: Since his tease is more of a digital lollipop (126 slides, fun, sell…drooool) the YES that comes with it is effortless. 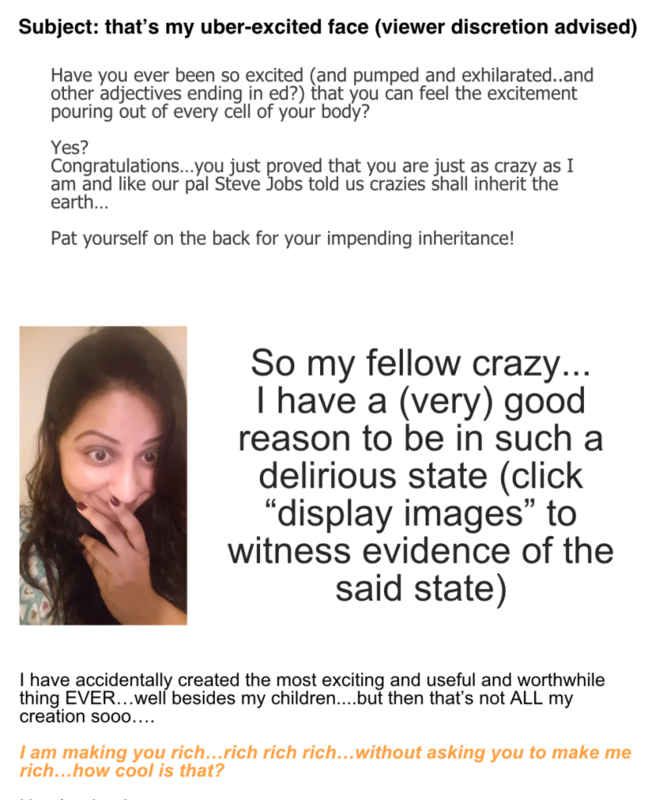 No I am not going all woo woo on you, trying to convince you of the power of visualizations. What I am talking about is intent, more specifically emotional Intent. Emotional intent when set right makes people open your email, devour every single line and then do exactly what you ask them to do. 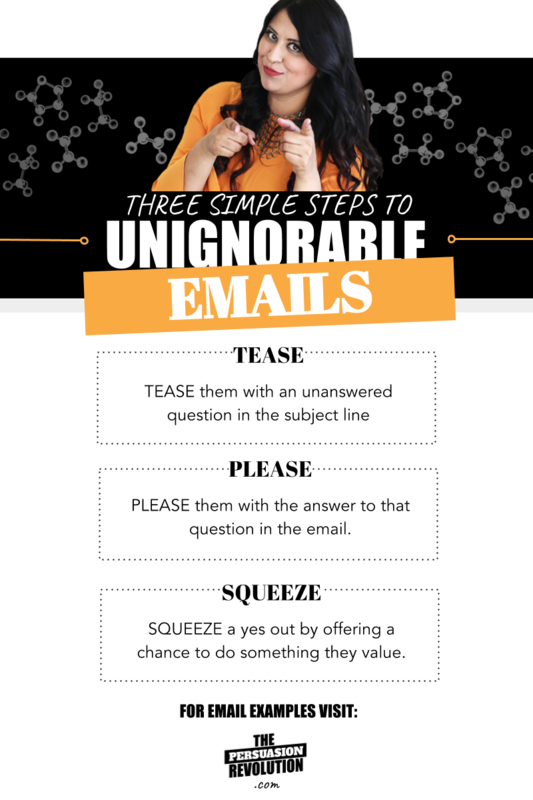 Do not send any email without setting the intent and then using the Tease, Please & Squeeze framework to make it unignorable. 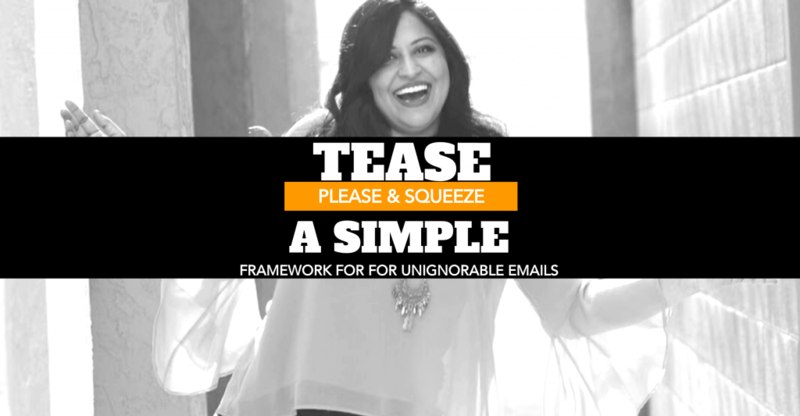 Tease, Please & Squeeze Framework works in every industry and with every type of email in business.Give it a shot!